It’s been 40 years since a small film about a down and out boxer took the world by storm and walked away with the Oscar for best picture. That film was, of course, Rocky. Now we have sequel number 6 and after Rocky has battled Mr T, the Russians and even his own family, we are back to brass roots with the focus now switching onto his most famous adversity’s son. Yet still at the heart is that mumbling, gentle-hearted underdog. Adonis Creed is the son of Apollo, the former heavyweight champion. Entering the world of boxing himself, he refuses to ride on the tail coat of his father, wanting to make a name for himself. Yet he cannot find a break, so he turns to his father’s former enemy and friend, Rocky Balboa, to help train him. Then an once-in-a-lifetime opportunity arises that is similar to what Rocky’s rise to success. Fruitvale Station’s writer and director Ryan Coogler has taken charge of this tale and instead of giving a brand new vision to the world of boxing, he has basically revisited the original film of 76 and rebooted it for the 21st century. this is, predominantly, the same film as before except Rocky has now become Mickey and Adonis Creed has become Rocky. What Coogler has done is kept Rocky’s character intact while making Creed as an arrogant and hot-headed brawler who needs controlling. 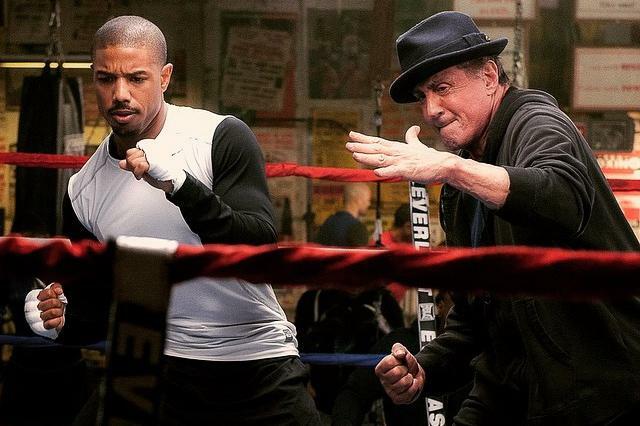 Yet while the title suggests that Creed is the main focal point, it is the relationship between the young pretender and the experienced fighter that has the heart of the movie and even though it is an almost blueprint of the classic, it manages to have a refreshing mix of Coogler’s independent roots as well as making the clichéd seem new. We get everything we’d expect from a Rocky picture: the training sequences accompanied by triumphant score; the underdog taking on the champion; awkward love story. While the first two work in the film’s favour, the love story between Creed and singer Bianca, isn’t as strong as that of Rocky and Adrian. In fact where Rocky’s romance was one of the original film’s strengths, this time it tends to slow things down because we are so interested in the relationship between the old and the new. The performances are good from the support but this is a film about two men. 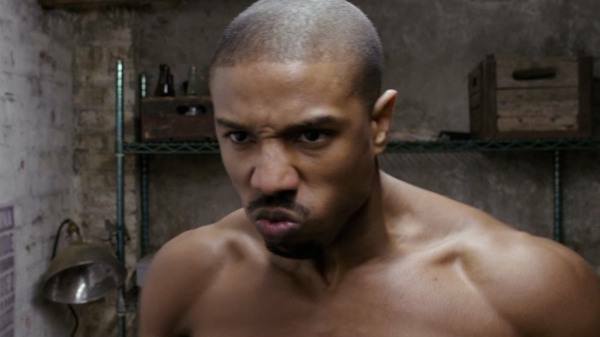 Michael B. Jordan, still shaking off his experience from Fantastic Four, gives another first-rate performance as Creed, a kid living on a reputation yet wanting to be his own person. It’s proof again, like in Fruitvale Station, that Jordan is a face to watch in the future, just as long as he stays away from dodgy blockbusters. It is Sylvester Stallone, reprises his most famous role for a seventh time, who is the film’s real star. Rocky has become such an iconic character that Stallone and Coogler have decided to make his twilight years as gentle and as heart-felt as they were in his early days. Rocky hasn’t lost any of his charm that made us fall in love with him all those years ago. He isn’t as gruff or hardened as Mickey was, instead he is full of sorrow having lost the most important people in his life. He is alone in the world and so looks upon Creed as family. This is Stallone best performance in years. Creed may not be as good as the original but this is without a doubt the best film in the series in years. It has heart. It has soul and it has a bone-crunching finale that has you screaming and shouting at the screen just as the original did. It does have the most bombastic score ever and you long for Bill Conti’s original to appear. When it does, you feel like you are finally home. This could be the start of a new series of films but if it doesn’t have Stallone in it, it may lose it’s soul. We have to wait and see.